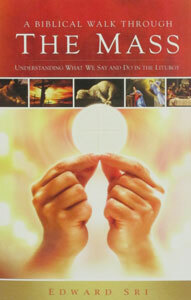 Jeff Cavins explores the reasons why many Catholics do not seem to understand and appreciate the Holy Eucharist–and why some have even left the Church, saying that they simply weren’t being "fed" and that they longed for a more personal, "spiritually nourishing" relationship with Jesus. 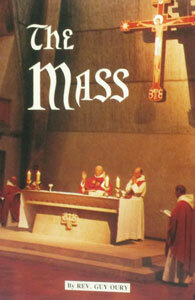 He also focuses on the clear biblical evidence for the Real Presence of Jesus Christ in the Blessed Sacrament. 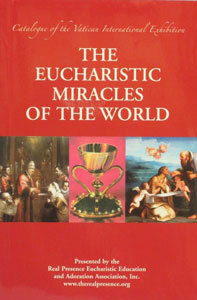 Cavins points out that it is impossible to read the sixth chapter of John’s gospel literally without recognizing that the Eucharist is more than just a "symbol" of God’s love. 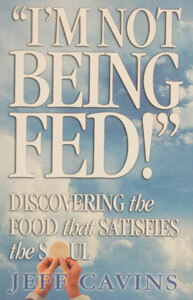 Rather, it is the very heart of Christianity, the only food that truly satisfies our souls. Paper. 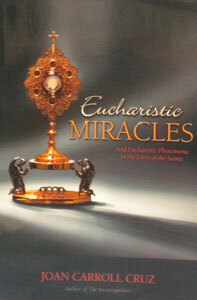 EUCHARISTIC MIRACLES And Eucharistic Phenomena in the Lives of the Saints by Joan Carroll Cruz.